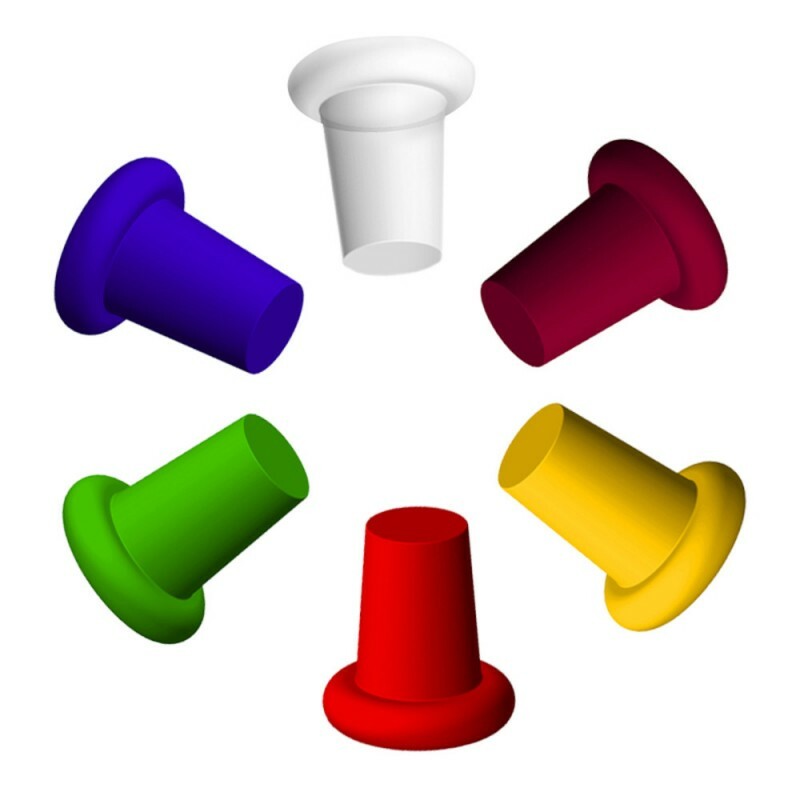 IWA Wine Bottle Stoppers Set of 6 (P/N 16693). Our silicone bottle stoppers are designed to create a leak-proof, air-tight seal in virtually any size 750ml wine bottle. No need to force the cork down into an opened bottle! These stoppers have a low profile top that will fit easily in the refrigerator, either standing up or on its side, while the tapered body ensures an air-tight seal. Protect your wine from oxidation, aromas and gnats with these food-grade silicone stoppers. Available in 6 designer colors. Each set includes 1 of each color: Red, Yellow, Green, Blue, Burgundy and Translucent. IWA Exclusive! Seal your wine bottles and slow down the oxidation process with these non-toxic, reusable, leak-proof silicone stoppers.